New role: Archbishop Mark Coleridge is the new president of the Australian Catholic Bishops Conference. BRISBANE Archbishop Mark Coleridge will take inspiration from Pope Francis as he prepares to lead Australia’s Bishops through the humiliation of the sexual abuse crisis and the upcoming historic plenary council. Archbishop Coleridge was today elected president of the Australian Catholic Bishops Conference, the permanent collegial assembly of the Bishops of Australia. 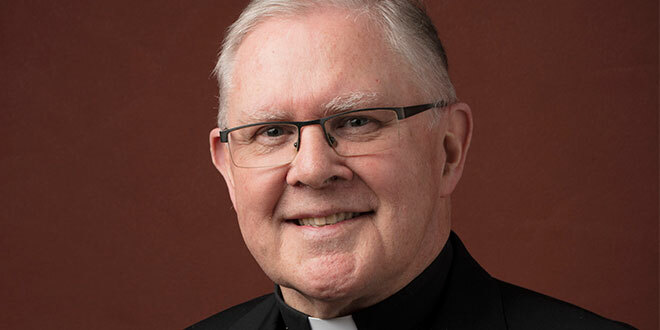 “With few illusions about myself or the task that awaits, I humbly accept the call to serve as president of the Conference at a time that is clearly challenging,” Archbishop Coleridge said. As he takes up his new role, he leans on the examples of Pope Francis to unify the Bishops of Australia. “Pope Francis is showing the way for bishops conferences around the world, and I look to his leadership to guide and inspire mine in Australia,” Archbishop Coleridge said. Archbishop Coleridge, who will take up the new position from May 10, paid tribute to Archbishop Denis Hart, who will next week complete six years serving as president of the Conference. “With his courtesy and efficiency, Archbishop Hart has made a unique contribution as president of the Conference since 2012,” Archbishop Coleridge said. Archbishop Coleridge was ordained Auxiliary Bishop of Melbourne in 2002 and later became Archbishop of Canberra-Goulburn. Since 2012, he has served as Archbishop of Brisbane. Sydney Archbishop Anthony Fisher was also elected vice-president of the Bishops Conference today. Both Archbishop Coleridge and Archbishop Fisher will serve two-year terms. The more than 40 members of the Australian Catholic Bishops Conference today opened their biannual plenary meeting in North Sydney.